…due to a medical issue I had to take care of. I should hopefully have it up by this weekend if not sooner. The next project of recording–this of the music for the planned Magical Mystery Tour television film–started before Sgt Pepper had even been released. In fact, it started mere days after the last notes of “Sgt Pepper’s Lonely Hearts Club Band (Reprise)” were put to tape, after Paul had returned from a visit to the United States. The movie itself would remain in the planning stages for a good while, as filming would not start until mid-September 1967. The recording of the music for it would be scattershot, the theme song recorded in April alongside the future Yellow Submarine music, the rest being picked up in August and September. Late 1967 would be an extremely trying time for them financially and emotionally, so it may seem that the Magical Mystery Tour project might have been seen in two ways: one, as a financial outlet for their recently-created business partnership Apple Corps, and two, as an emotional outlet (or perhaps an emotional escape) for the devastating loss of Brian Epstein. It seemed that they had finally escaped the insanity of early 60s Beatlemania, only to exchange it for the insanity of running a business with little to no prior experience, and without their longstanding manager. They had great ideas…but they had little to no idea how to expand on them or if they would even work. As mentioned before, the Beatles were creatively drifting at this point as well–as George Martin would say, they were in their “try anything” phase which was producing mixed results. Musically they were still creative, but it was taking longer for them to achieve their goals–if they in fact had any at that point. The film itself is a testament to this. The plot was partly inspired by Ken Kesey’s Merry Pranksters and their traveling bus Further, as well as the charabanc trips of the Beatles’ youth (these were chartered, low-cost day trips via coach, usually to a seaside resort or another tourist attraction). There was no plan and very little script, other than Paul’s pie-chart outline and a few planned performances. It was mainly filmed via an extremely small crew, including the band themselves (I am assuming they used 16mm or 35mm stock, given the quality and the timeframe), and the idea was, like their recorded output at the time, “be at the bus station on Monday and we’ll see what happens.” The finished product is a trippy, disjointed and amateurish film resembling a home movie. It’s quite colorful and has its moments, but as a whole it was understandably panned by critics and fans alike. There are a few creative passages, such as the fabulous weirdness of the “I Am the Walrus” segment, the hilarious (yet sadly too short) cameo of Victor Spinetti as an incomprehensible army drill sergeant, and The Bonzo Dog Doo-Dah Band’s burlesque performance of “Death Cab for Cutie” (yes, that is where the band got its name! )…but much of it is filler. Many fans who saw this on its Boxing Day airing saw it in black and white, and their reaction was quite negative. The band agreed that the release was subpar and despite further airings in color, it was deemed a misfire. Perhaps it was time to rethink their future plans–or in this case, make some future plans instead of “seeing what unfolds”. They would use their upcoming India retreat as a way to make some concrete goals, write completely new songs, and become a full-fledged band again. Given that they did not have a full album’s worth of new songs to provide, nor did they want to release an album half-filled with music they’d released earlier in the year, it was decided to release the soundtrack to their television film as a double EP. The format itself wasn’t nearly as popular as it once had been, and was not popular at all in the US, but it was deemed the only acceptable way to release it. As mentioned in the previous entry, this was released only in EP format in the UK, and the American full-album version (the six MMT tracks on one side and in a different order), the previous three 1967 singles on the other) would not be released in the UK until 1976, at which point it finally became official UK canon and later officially part of their discography. The original EP–and early vinyl copies of the American version–included a wonderfully packaged 28-page insert that included stills from the film as well as a comic book version of the film itself. The comic book is set up in a children’s story book fashion, one page split into six images with a few simple sentences describing the scene (and obviously omitting a lot of the slower scenes in the film). This insert vanished for a good number of years, but finally resurfaced, much to many fans’ delight, with the 2009 remastered cds. A fanfare opens up the EP (and the film) with the roaring sound of a coach bus and Paul, as barker, calling out to everyone to come and enjoy the trip he’s about to take them on. The first track recorded for the project on 25 April, just a few days after Paul’s return from his US trip, it’s a lighthearted rock song that does its job as an entrance theme. Interestingly the vocals were recorded at a lower speed and played back faster, giving Paul’s lead and John and George’s backup a much different, and much more jovial tone. Of note here, though, is a curious and unexpectedly jazzy fade out…they were known for extending the ends of their songs in the studio around this time (a number of White Album-era songs would get treated this way), even if they were eventually edited out, but this was most likely the first time it would stay in the final mix. It serves as a musical segue from the opening shots to the movie proper. The next song recorded for this project popped up on 22 August–a good number of months after most of the Yellow Submarine tracks had been finished and the Our World project had been finished. Curiously this track was started not at Abbey Road but at Chappell Recording Studios, another independent studio in London (like their previous recording at Olympic, Abbey Road had been booked solid at this time). This is another of Paul’s compositions and very similar to his “old-timey” songs he was occasionally fond of writing (and which John would later snipe about, post-breakup). It was also the last song that Epstein would hear them recording, as he would pass away days later. It’s another simple song, somewhat vaudevillian in its way, and one can hear it in the production. The main chord progression is circular and shuffles along as if played on banjo–in fact, one can hear George’s guitar faintly on the right speaker sounding remarkably like one, specifically near the title refrain. It was used in a Busby-Berkley-style musical scene at the ending of the film, as a celebratory end to their magical trip. 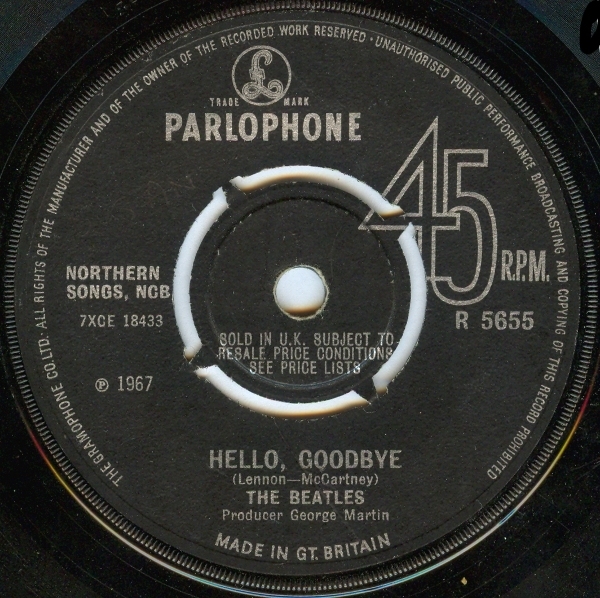 Previously seen as the b-side to the “Hello Goodbye” single (see the previous entry), it was accepted here on the EP due to its segment in the film. This song was the first track they recorded (on 5 September) after Epstein’s death, after a heady meeting on 1 September at Paul’s house in St John’s Wood (mere blocks from Abbey Road on Cavendish Avenue). Despite their loss and their lack of direction, they’d decided to soldier on with the Magical Mystery Tour project as well as with their upcoming India retreat. They did not want to keep things unfinished, nor did they want to continue without any plan in mind. A third Paul song, started properly on 25 September after a brief outtake on the 6th. It’s a ballad similar to “Here There and Everywhere” or “For No One”, based mostly on a piano melody. It could easily be Paul’s answer to John’s “Nowhere Man”–a song about a man blissfully unaware (perhaps on purpose) of the world around him. This song, however, takes on a slightly darker edge, revealing that this “Fool” may actually be a lot smarter than he’s letting on–some have stated that it was based on the Maharishi Mahesh Yogi. While Paul paints the man as inattentive and oblivious in the light verses sung in a major key, the chorus describes him as seeing the bigger and darker picture, sung in minor. Adding to the childlike quality of the song is a solo played on recorder by Paul. The song shows up in an interesting passage of the movie, a dreamlike segment with Paul walking around Nice, France, which was shot in late October. This track is a standard twelve-bar blues riff instrumental–their first instrumental since attempting one with “12-Bar Original” a few years previous, and the first Beatles track credited to all four members. It’s purposely laid back and dreamlike, with John playing the main melody on mellotron, and Paul and George playing the guitars. Originally entitled “Aerial Tour Instrumental”, it was used in what was to be another dreamlike sequence, hinting that the tour bus was flying through these magical clouds as it headed towards its destination. It’s a relatively short blues jam at just over two minutes, but dynamically it’s kind of fun, starting quietly but building up to a vocalized crescendo. It ends with the burbling sounds of mellotron tape loops created by John and Ringo…which, in one of its unedited forms, went on for a further seven minutes. This extended ending was used as incidental music throughout the movie. The segment of the movie that features this two-minute version was created using unused aerial footage from Stanly Kubrick’s 1964 film Dr Strangelove and lab-tinted various colors. It unfortunately didn’t translate well into black and white during its initial airing on BBC1 and added to the negative reaction to the film, but in its colorized form (which works much better on the remastered 2012 DVD release than it did on the subpar 80s VHS version), it’s fun to watch. George supplied the final track on the EP written at and about a street in the Hollywood Hills where he’d rented a home in 1967, where he’d had to wait for their press officer Derek Taylor to arrive one evening. The opening line “There’s a fog upon LA” refers specifically to the fact that up in the Hills it would get quite foggy and reaching the street (via quite a circuitous route) one could get easily lost. To add to the fog and the trippiness, pretty much every instrument here is treated with some kind of flanging effect, from George’s voice to Ringo’s drums (curiously pushed forward in the mix here) and the swirling organ. It too had its own segment, in the form of a movie-within-a-movie, with the bus riders entering a tent to watch the performance which was alternately shot on a foggy street and in one of the Beatles’ back yards. The EP (and the US album) concluded what would be probably one of the most peculiar eras in the Beatles catalog. The freedom they longed for came to fruition in late 1966, giving them more creative freedom and time to build more complex recordings. Out of this came two phenomenal releases: the “Strawberry Fields Forever”/”Penny Lane” single and Sgt Pepper’s Lonely Hearts Club Band, both considered their finest achievements. Their success however left them unsure where to go from there–they were under a new contract, running a new production company that would make more sense financially (read: would raise them more money while simultaneously avoiding the punishing British tax code for performers), and could do anything they wanted but had no plan. There have been a number of books written about their financial issues from this time forward (Peter Doggett’s You Never Give Me Your Money is a particularly damning account for everyone involved), as well as their personal and emotional (and health) states at this time, so it’s easy to see that the latter half of 1967 could be viewed as a starting point where it started going downhill. That said, listening to the EP/album in this day and age, and on its own without the history behind it, it’s a wonderful collection of the band at their most eclectic: they were firmly in “rock” territory by this time, having moved far enough away from their pop origins and their brief foray into folk rock. Many of the songs were brimming with creativity, not to mention a deep knowledge of the songwriting craft, giving their tracks many more layers than one would notice upon first listen. It’s also the band at their most psychedelic–which is understandable, given the era in which the songs were recorded. The Beatles saw 1967 out with one last recording, this time with another fan club message. As with 1966’s self-penned silliness, the Beatles wrote the script (such as it was) for this one as well, this time in the form of what sounds like a Christmas eve BBC broadcast. It starts off with a rocking theme song which is then interspersed throughout the recording, which contains a skewered take on radio entertainment at the time: a game show, a repeating commercial for Wonderlust, an interview with a stodgy politician, and more. Even George Martin gets in on the fun this time, stating “They’d like to thank you for a wonderful year” (echoed by George H, and then the four boys, in deadpan) before the track ends with a reprise of the theme, overdubbed by laughing and hooting. As an epilogue, they’ve also edited a fade-out from 1966’s recording, with John reading a season’s greeting in a fake Scottish accent. While it’s not nearly as slapstick as 1966’s recording, it’s equally as silly in terms of British humor. Given all the events that unfolded in 1967–the new sounds, the personal events, the participation in Our World and other projects–the year was quite a rollercoaster, and in retrospect it could have been part of the impetus for their frustrations, failings and eventual breakups down the road. Many books have stated that the band was well aware that they were skirting into unknown territory, and freely admitted that they were not the best businessmen when it came down to it. The times were changing again, and so was the band. They had been a part of the blissful and blissed-out Summer of Love, created a soundtrack to it even, but near the end of the year, it was time to come back down to reality. Still, they chose to remain as positive as they could for the time being, entering 1968 with a few abbreviated recording sessions in January and February for potential singles and another Yellow Submarine track, before heading out to India in April. By the time they returned back to London in May, they had a new slew of songs they had written during their time off, and had even more to record as that new project grew. Those sessions would become quite fruitful, but quite contentious as well. The result would offer some absolutely stunning and memorable songs, as well as the most argued-about Beatles album in their catalog. It’s a testament to how seriously the Beatles took their craft when one realizes that even after retreating from the public eye, their cumulative studio time did not really diminish all that much. Back in this golden era of rock music, musicians would not have even entertained the thought of taking months or even years off between albums. Part of it was the perceived need that one’s band had to be constantly in the spotlight, or at least brought back into it after a short time–one can wonder if this might have been a response to Elvis Presley’s nearly two year absence from the public eye back in the late fifties due to his Army stint. When Elvis returned, his music style remained pretty much the same, but the style of popular rock music had already changed, leaving him far behind. In order to remain relevant, one had to constantly stay on top of things, and no popular band wanted to run the risk of irrelevance. The Beatles’ next projects–there were in fact three recorded in tandem at this time–kicked off even before Sgt Pepper’s was released on 1 June 1967. All were to be multimedia events. One was the band’s next motion picture project, an animated feature named after and partly inspired by their 1966 single “Yellow Submarine”. It was a major undertaking, using over two hundred artists and using multiple styles of animation from limited animation to multilayering to rotoscoping. The band themselves were not interested in appearing or acting in this particular film, but had agreed to record music specifically for it (and later, once they watched a rough cut and loved what they saw, agreed to a short real-life cameo at the end). The small handful of songs for the movie would be recorded at this time. The movie would be released in the UK in summer 1968 (and a few months later in the US), but the soundtrack itself would not be released well until 1969. The second was another mini-project thought up by Paul on his way back from his trip to the US in late April (if you remember from the last entry, the “Sgt Pepper Reprise” track was the last to be recorded for the previous album just before he took off for this trip). On the flight home he had come up with a short movie somewhat inspired by Ken Kesey’s Merry Pranksters bus that was currently touring around the US at the time…a decidedly British take on the mystery trip, in which the band and their friends take a chartered bus to an unannounced destination [more on this for the next installment]. Most of the filming for this project didn’t take place well until September, but the music was started at this time. The third much simpler project was participation in a special television appearance unlike any they’d had before. Our World was to be an international event created by the BBC: multiple countries from around the globe were to take part in what is probably one of the first truly global (physically and politically) television broadcasts. It was to be a two-hour focus on life around the world, looking at culture, sport, health, art, and even the future. The Beatles had been invited to be a part of the “Artistic Excellence” segment, and were asked to write a song specifically for it. Both Paul and John had come up with a song, and though it was never revealed what Paul’s song may have been (Beatles biographer Mark Lewisohn posits that it might have been “Your Mother Should Know”), it was John’s offering of “All You Need Is Love” that was used. The band performed the song semi-live (playing against a pre-recorded take) in the early evening of 25 June 1967. The single would be released just shy of two weeks later. It’s up to question by the various band members and George Martin as to whether this single had been written for the Our World special, or if it had just been a few songs of John’s he was working on at the time, but it remains a classic single for many reasons. First of all, it could probably considered one of the quickest turnarounds from studio to single yet for the band, even considering the fast release of some of their early singles. But more importantly, it definitely captured the counterculture vibe of the Summer of Love–while all the world was in turmoil, it was a distinct reminder that peace and love were still strong in the minds of sixties’ youth. Sadly, it would also be the last release seen by their manager Brian Epstein before his untimely death on 27 August. His passing would deeply affect the band in more ways than anyone would have expected. In that respect, it was quite the bittersweet single…Epstein would only witness the band at the peak of their career. In another testament to the band’s expertise in songwriting, though the band was well aware that they had been assigned to write a song to deadline, they had put it off until the last possible moment. This particular track was brought in and started on 14 June, a mere eleven days before the live broadcast. The basic tracks were actually started at Olympic Sound Studios in the Barnes neighborhood of London, though overdubs and further vocals were recorded at Abbey Road. Olympic Sound had become one of the top independent recording studios in London, churning out a number of hit songs (including those by the Rolling Stones) and soundtracks. John would later say this song could easily have been a rewrite of his earlier 1965 song “The Word” (off Rubber Soul, though with much better lyrics and specifically tailored to the current counterculture atmosphere). It’s also a unique track in that, like a small number of Beatle tracks from the 1966-67 period, it contains a number of changing time signatures. The main verses are played in 7/4 time, switching to 8/4 for one bar and returning for one more bar of 7/4, before hitting a 4/4 chorus. Quite evident as well are many borrowed musical themes: the first thing you hear on the track is a symphonic phrase of the French national anthem, “La Marseillaise”; the callback “ra-tatah-tatah” in the chorus is from Wayne Shanklin’s “Chanson D’Amour”, a French pop hit from 1958; and in the fade out, the symphony plays phrases of “Greensleeves”, one of Bach’s Brandenburg concertos (played by David Mason–who had earlier played the piccolo trumpet on “Penny Lane”!) and Glenn Miller’s “In the Mood”; even the Beatles themselves ham it up with John singing “Yesterday” and “She Loves You” just as the song fades out. It’s a clever multilayering of both musical chronology and genre to fit the show’s theme, all scored by George Martin. Lyrically it’s one of John’s greatest achievements thus far–he delivers quite long and unique lines of verse, counterpointing it with a very short and repetitive chorus. The theme itself could have been filled with weak imagery and hippie platitudes (such as he had done with “The Word”), instead pushing himself to make a valid point. He’s not just saying “Love conquers all”, he’s saying there’s nothing so bad in this world that it can’t be fixed or at least remedied with a bit of understanding and compassion. It goes to show that when he truly put his heart into it, his lyrics could have a deep impact on its listeners. Despite it being relegated to a b-side, this song was actually the first of the small handful of new tracks to be recorded specifically for the Yellow Submarine film project. It’s also the first Beatles song completely recorded and mixed, start to finish, outside of Abbey Road, instead done at Olympic Sound Studios. Recording took place on 11 May for this joint John-and-Paul track; John had provided the main lyrics (under the working titled “One of the Beautiful People”) and Paul provided the main chorus. It’s very similar to “Lovely Rita” in sound, with nearly every sound on the recording given some special effect, either generated or manmade. Paul creates a faux-backwards loop sound with his bass right at the beginning by plucking a dampened bass string; both pianos are heavily treated with trebly double-tracking (and in the mono mix, given a “spin-echo” effect at the end of each verse to further give it a fake-backwards sound); to top it off, a Clavioline (an early precursor to a synthesizer) was used on its oboe setting to create a trippy Indian raga-style feel. Lyrically no one is really sure who it’s about, though there have been theories by various critics and biographers that this song was about Brian Epstein. Epstein had been from a well-off family and was often seen in upper-class circles, and in typical John fashion, this could have been a response to that, asking him “how does it feel to be one of them?” It’s also been said (in Bob Spitz’s band bio, for example) that Epstein was well aware of his stature and understood John’s good-natured jibe, even if he himself was not all that comfortable in those circles. As the song was released as a b-side here, it was not assigned a spot on the Yellow Submarine album soundtrack, though it does appear in the movie. A segment of the track is used when Ringo “saves” the Sgt Pepper band from the glass bowl that has entrapped them via the “hole in his pocket”. The single itself was an instant hit, especially given its release and its theme, and stayed on the Billboard charts for eleven weeks. 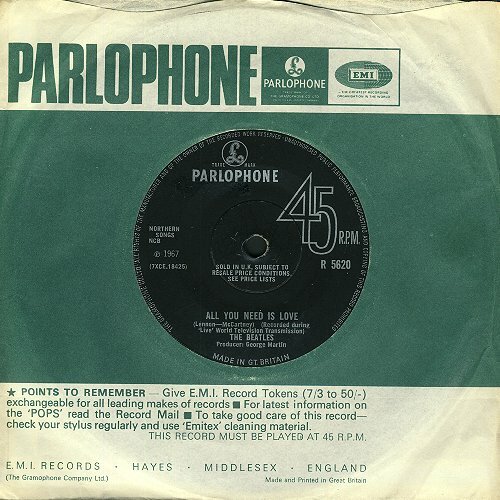 “All You Need Is Love” could probably be the most prevalent song in the band’s catalogue pre- and post-breakup; it was not only featured as its own single, it was featured in a major climactic scene in Yellow Submarine as well as on its soundtrack album, was available on the US version of Magical Mystery Tour, and shows up on no less than three pre-Anthology compilations. Its most curious appearance, however, was in the classic sixties science fiction show The Prisoner (of which the band were fans): in its final episode, it is heard while Numbers 2, 6, and 48 begin their final escape. After its release, the band spent their summer building up more tracks for the Yellow Submarine film project (we will cover those for the soundtrack album), and recording songs for the Magical Mystery Tour EP and filming footage for that project. It was also about this time that George and his wife Patti met Maharishi Mahesh Yogi and sat in on one of his Transcendental Meditation lectures at Caxton Hall in London; he soon talked the rest of the band into sitting in on a further lecture. The Maharishi’s words and ideas had taken effect on the band to one level or another, and they would later agree that perhaps an extended vacation to India to meditate and reconnect with themselves might help their future endeavors. According to Bob Spitz’s biography, it was during this particular second lecture that the band had received word that Brian Epstein had died. His passing, as well as the time it took to finish up their current productions, had caused the band to delay their trip to India until early 1968. As was usual for the band, their latest single track was written and recorded in tandem with the current projects, but was considered separate and would not show up on either release. 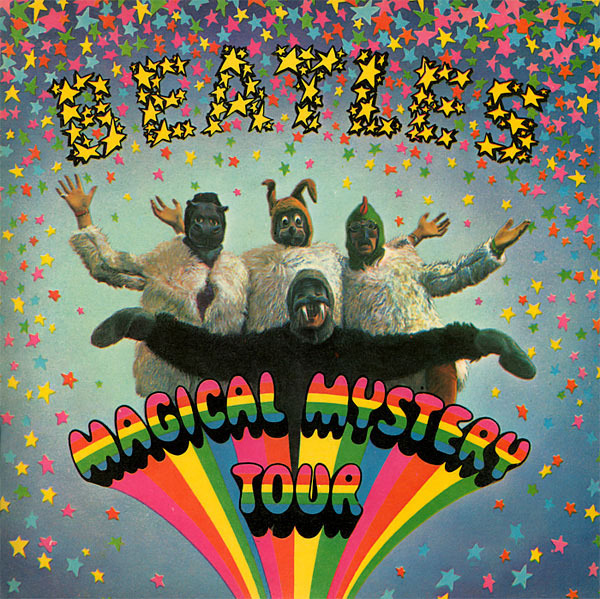 [Keep in mind: Magical Mystery Tour was originally released only as a six-track double EP in the UK and was not released as a full UK album until 1976…the current full-album version that is now considered canon is actually the 1967 US release with the EP expanded to contain the previous three singles. Thus, “Hello Goodbye” was at first a non-album single.] Backed with a track of John’s that would appear on the Magical Mystery Tour EP, it’s a single that might not be the strongest song they had at the time, but it was certainly a fitting coda for the Summer of Love. This is very much a Paul song, one that is light and entertaining on purpose, with very little depth to it lyrically. It’s said that Brian’s assistant Alistair Taylor had been visiting Paul one evening and had asked Paul how he wrote his music; in response, they both sat down at Paul’s harmonium and had Taylor call out the opposite of a word Paul would say while he was playing. It’s a simple lyric about opposites and differences, all focused on the “I don’t know why you say goodbye / I say hello” chorus. Musically, however, it’s a feast for the ears! There’s quite a lot of instrumentation here, from maracas and handclaps, drums, pianos, organs, and layered vocals. Paul also deftly has the main melody and the lyric melody playing off each other, always going in opposing directions; the vocals rise as the melody descends, and vice versa. Even the finale of the song is used as a counterpoint; while the majority of the song is in midtempo and always changing and stops cold, the “hey-la, hey-lo-ah-lo-ah” ending is played double-time, repeated ad nauseum, and fades out. On the surface, this can be seen as somewhat of a slight song dashed off at the last minute, but it’s also a great example of the band’s now-vast understanding of professional songwriting. John’s most psychedelic track to date could be both the start of his avant garde period and part of his frequent returns to his childhood during this time. This song was all about sounds and visuals for him. The sound of the wobbly two-note vocal melody was inspired by the sound of police sirens going by his home, and the lyrics were partly inspired by the goofy rhymes he and his childhood friend Pete Shotton would come up with to try to gross each other out (thus the “yellow matter custard” lyric). A majority of the lyrics, however, were also inspired by a letter he’d received from his alma mater, Quarry Bank High School, in which a languages teacher was having his students analyze Beatles lyrics; John’s typically rebellious answer to that was to write them most deliberately incomprehensible lyrics he could think of. Musically it’s also fascinating; in the main verses there are two separate descending chord progressions that are quite different yet achieve the same result of barely contained tension, and the entire chorus is simply a C-D-E progression played once. The song also changes pace exactly two minutes in with a breakdown both musically and aurally; the accompanying strings fall down to the low E, only to swoop back up a few moments later for the “sitting in an English garden” middle eight. It’s here that the original stereo mix falls into “fake” stereo for the rest of the song, and it’s for good reason: on 29 September, while working on the mono mix of the track, John decided to throw one last touch onto the song, in the form of a live broadcast of Shakespeare’s King Lear (specifically, parts of Act IV Scene VI) that happened to be playing on the BBC Third Programme. John had wanted white noise in the background, specifically the sound of a meandering radio dial hitting the random stations–it was a nod to the late nights as a kid when he would stay up late, listening to Radio Luxembourg and other foreign stations that only came in at that time. By the long ascending fadeout of the song, the radio stayed on the Lear scene, and became a classic element of the song. As this effect was recorded straight onto the mono mix, that rendered a true stereo mix impossible at the time, though an attempt was made on the 2006 Love soundtrack/compilation, with the original superimposed on a pre-overdub stereo mix. The single was, of course, an immediate hit both in the UK and in the US. John half-joked that he felt “Walrus” was the stronger of the tracks and should have been the A-side, but regardless, both songs are strong and are still fan favorites. They also both had a darker edge; they weren’t as jovial and whimsical as Sgt Pepper or as pastoral as the “Strawberry Fields”/”Penny Lane” single. The mood was changing already, and the band could see it. The blissful optimism in both countries was eroding and giving way to dreary frustration. The drug haze was wearing off, and many weren’t liking what they saw. The Yellow Submarine project deadline was much farther out at this point, given that the production had just started, and many of the songs to be used in the movie were previously released (mostly from the Revolver and Sgt Pepper albums). By early summer they had “Baby, You’re a Rich Man”, “All Together Now” and “It’s All Too Much” in the can along with the Pepper outtake “Only a Northern Song”, with “Hey Bulldog” to be recorded in early 1968. That left them with the remaining Magical Mystery Tour songs and visuals to work on. George Martin has admitted not being entirely happy with this batch of work, as he felt they were still stuck in their “random” phase (“hey, this instrument sounds neat through a flanger and taped backwards, let’s use it!”) and while there were some strong songs during this time, there were also some less than stellar songs as well, their charm lost due to a lack of vision or direction. After their crowning achievement, it seemed they weren’t quite sure how to proceed. It can also be noted that the evolution of the band, both musically and personally, had changed. All four members were drifting into their own lives…Paul, who was deep into his own artistic phase at this time, was about to break up with Jane Asher and would soon start seeing rock photographer Linda Eastman; John’s marriage to Cynthia was about to end and was working through quite a few personal issues, and he would soon meet and fall for avant garde artist and filmmaker Yoko Ono; George was fiercely dedicating himself to his spiritual studies, whether or not the others were willing to be just as dedicated; and Ringo was busy starting a family with his wife Maureen and two sons Zak and Jason (son Lee would be born in 1970). They had also become somewhat lost emotionally and spiritually, especially since Brian’s death…it had hit them hard, and they were now faced with the burden of finding a new manager, as well as starting up their own company, Apple Corps. It could be said that between the loss of Brian and the lack of direction after the Sgt Pepper project, they were starting to forget what it was they were aiming for, and instead of backing away and taking stock, they started taking part in multiple projects all at once. Nearly all these events and changes took place in late summer 1967, so these projects could possibly be thought of as the a prologue to the next phase in the band’s career. It was only afterwards, a few years later, when it became clear that this might not have been the best of choices. To fully understand where the new Beatles sound came from–that of more creative, more artistic music and lyrics, and a move away from the quick and easy love songs of a few years previous–one should also take into account what was going on in the world at the time, musically and historically. By 1965, there had been a distinct change in viewing the world, and it was decidedly generational. The younger crowd were now well aware of historical events both in the US, the UK and abroad. Racial tension was at a high in both the UK and the US. Societal tension as well, the haves and have-nots becoming ever more polarized. The US had started deploying soldiers to the ongoing war in Vietnam at that time, and by 1967 the number of young soldiers there was soon to reach its peak. Back at home, more and more people of the same age were growing frustrated–there was a real and terrifying chance they would be called into duty to fight in a war they did not believe in. By late 1966 and early 1967, the younger generation started feeling the strain. At the same time, there were movements in certain cities where that same generation had come up with an answer to the tension: peace and love. It took hold in all kinds of forms, depending on where you were. London, then currently hitting the height of fashion with Mary Quant and other designers, as well frequent but low-level recreational drug use, became “Swinging London” with its feverishly bright colors of Carnaby Street and the vibrant nightclub scene. San Francisco, on the other hand, had just kickstarted its own community movements, specifically as a “together we’re stronger” movement to counteract the generational and class-centric tensions going on. More to the point, San Francisco’s idea was to “look after your brothers and sisters” because it felt like no one else was at the time. Both scenes did involve some recreational drug use of course. In January 1966 Timothy Leary put on the first Acid Test in that city (equal parts party, concert, and LSD sharing), and in January 1967 he was one of the guest speakers at the Human Be-In in Golden Gate Park, ushering in the “turn on, tune in, drop out” alternate lifestyle vibe. By that point, both London and San Francisco scenes had become somewhat blissed out, maybe even a little blissfully ignorant of world events, and in the process it had started to influence the sounds of the music coming out at the time. That’s not to say that all rock music was political or oblivious in nature; it was more that eyes and ears had been opened, partly due to mind-altering drugs and partly as a need to break out of long-standing social mores that didn’t fit anymore. Musicians had stopped thinking about trying to write the next big radio hit, and started thinking: let’s see how far we can take this. By the mid-sixties, central California had created a bluesy-folksy sound in the Grateful Dead, Creedence Clearwater Revival and Janis Joplin; in southern California, the Beach Boys were growing out of their surf-pop phase and venturing into detailed songwriting and recording (especially evident with 1966’s Pet Sounds). Elsewhere we had the freakishly weird psychedelia of Frank Zappa, the countless garage-psych bands, and the brutally honest lyricism of folkies like Dylan and Simon & Garfunkel. In addition to this was a relatively new and untested sound: FM Radio. FM had been around for quite some time, but had never really caught on publicly. Part of this was due to the fact that most listeners were either tuning in with the big bulky radio console in the living room (most of which still only picked up the AM frequencies), or in the hands of teens via small transistor radios. By the mid-sixties, however, many electronics companies were making newer and smaller radios that could pick up both bands, but at this point the radio business really hadn’t jumped on the FM bandwagon yet (and in effect, most FM stations, though commercial to some extent, did not have that much advertising that early in the game). This left the playing field–so to speak–wide open for the music directors and the deejays. Many of these announcers were decidedly not of the old-school variety, refusing to put on silly voices and say corny jokes to get revenue. Instead they were mostly music lovers, the fans who had grown up listening to the Beatles, the Rolling Stones, and other bands and singers who sounded nothing like their parents’ favorite performers. This unexpected freedom created a format soon to be called “free-form”, in which they would not just play the singles (and on heavy rotation at that, like the AM pop stations), but would often play obscure album tracks and b-sides. A perfect playing field for the new, rock-oriented Beatles. The band reconvened for their new sessions on 24 November 1966 with a completely clean slate. They didn’t have any concrete ideas of what the next album was going to be about, much less what it might sound like. They only had one song at first–a wispy, meandering song by John that he’d written in Spain during the shoot for How I Won the War, and a vague idea of how they’d view their new endeavor. During their extended vacation at the end of 1966, Paul had come back from a visit to the US having seen a number of new bands with odd names like “Uncle Jessy’s Medicine Show” or the like, and it had occurred to him: why not view the new work in a different light? Maybe instead of writing and singing “the latest Beatles pop hit”, why not write and sing as if they were a completely new band? They’d started going in that direction on Revolver, especially with the far-out psychedelia of “Tomorrow Never Knows”, so to the rest of the band, it made sense. Time to move forward in a new direction. John’s new song was quite an introspective piece on multiple levels. He’d started withdrawing into himself (and into LSD and cannabis) about this time, not really knowing who he really was within, and was also dealing with his crumbling marriage to Cynthia. Was he normal, or was he going crazy? Was he the writer and the musician, or was he the performer? Perhaps to answer these questions, he needed to look back to his childhood and retrace his steps. The outcome was a dreamlike nostalgia like nothing he’d written before. The finished recording itself is quite possibly one of the most detailed and complex recordings they’d ever put to tape. The first few takes were more pastoral–quiet and meandering, the offer to “let me take you down ’cause I’m going to Strawberry Fields” sounding more like a request to detach from the world for awhile. That mood was heightened by the appearance of a new instrument to the studio, the mellotron, formerly used in the studio for sound effects but here used–quite possibly for the first time on a rock record–as a full-fledged instrument. The end result of the first few takes remain quiet, but by Take 7, John–known quite well for his lack of patience–had decided that the song needed a LOT more oomph to it. On 8 December when they returned to the track, they tried a new approach, this time playing it much harder and louder. They enjoyed this new version and used it as the master for overdubs with horns and strings, among other things. Lastly, John threw in one more spanner: he confessed to George Martin that he liked the opening of the softer pastoral version in a lower key, but also liked the latter half of the louder, nearly complete version recorded one key higher…and wondered if they could be edited together. Martin being ever resourceful and creative, managed it almost too easily: slow one down and speed one up until they matched both in pace and key. [One can hear the edit at precisely one minute in: “let me take you down, ’cause I’m” [EDIT] “going to…”] The end result was a fantastic piece of dreamy psychedelia that no one had expected from the band–it would only hit #2 on the UK charts, but it was a wonderful introduction to the new sound of the band. This song of Paul’s was started on 29 December 1966, though he had started writing it nearly a year previous. It seemed to be a perfect counterpoint to John’s semi-nostalgic song–while “Strawberry Fields” is more introspective and the namesake is only used in passing, “Penny Lane” went into great detail describing everything one could see in that particular location of Liverpool when Paul was growing up. It’s quite a lively track full of semi-fictional characters going about their daily lives, all seen by a young man at the bus terminal in the square. Paul went to great lengths to give it a high, bouncy feel, playing short, hard chords on the piano and later having musician David Mason play a Bach-like solo on a piccolo trumpet. It’s a well-loved track, and Paul still plays it live to this day. One can only wonder what a regular Beatles fan thought of this album when they dropped the needle down on it for the first time. The preceding single was definitely a sign that the band had completely changed their sound from just a few years ago, but what would they be expecting to hear? Perhaps the cover itself was a hint: it clearly wasn’t the loveable moptops anymore. The old Beatles were Madame Tussauds wax figures in black and off to the side, looking somewhat tired and morose. The new Beatles were in colorful band uniforms standing around a colorful bass drum, and surrounded by statues and cut-out pictures of famous people past and present. And on the back, instead of a stock shot of the band or a punchy article written by Tony Barrow, it presented all the lyrics to the songs, superimposed over a small picture of the band looking as though they were about to perform, with Paul conducting. And those lyrics weren’t the regular love songs of yore. This wasn’t going to be a record full of three minute radio-friendly pop gems, that was for sure. 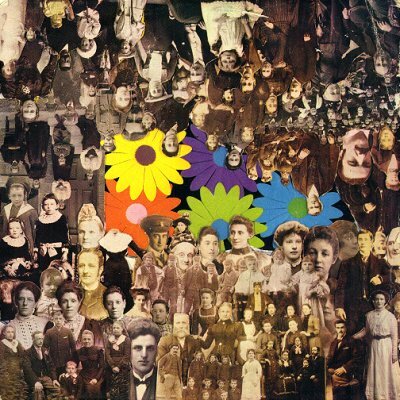 The album could be considered partly a concept album–a relatively new creation in rock at the time–in which the Beatles are envisioning themselves as Sgt Pepper’s band, playing their songs. Sure, some could say this was a bit of a pretentious move for them (and Paul actually admitted as much in a later interview about it), but in hindsight, it seemed to be the right course of action for them at the time. They didn’t want to just try something new to see how it sounded…they wanted to see how far they could take it. …in this case, a feature song for Ringo to sing, under the guise of singer Billy Shears. It’s an incredibly simple song melodically–there’s only five notes to it, if you think about it–but lyrically it’s a lovely piece that ties in with the “new band” theme. We might not be that great, but give us a chance and I think you’ll like us. The lyrics also fit Ringo perfectly–he’d always been happiest playing with his three best mates, and when they offer a call-response on the second and third verses (and the bridges), one can truly hear the friendship they shared. After two introductory songs, we’re brought in to a track of John’s that, for the first time in a Beatles song, dives headfirst into the whimsical world of John’s subconscious mind. Though decidedly not about LSD per se (despite the long-standing naming myth), the drug did influence just how far he was willing to go with his wordplay. The imagery here is otherworldly, full of strange colors and odd people and things and sung with heavily treated vocals, but at the same time it could also be looked at as a love song to a girl who could literally blow his mind. Musically it’s fascinating, a quiet and delicate melody in 3/4 played in just a few notes by Paul on an organ and accompanied by sparse guitars and tamboura, until the chorus kicks in, played in 4/4 time as a counterpoint. Nearly every instrument has been treated with some kind of effect, including John’s voice, drenched in ADT (Artificial Double Tracking). It’s an extremely trippy song, but it’s fascinatingly arranged. Paul and John follow up with an upbeat song that sounds reminiscent of what they were aiming for on Revolver. The lyrics are incredibly straightforward–Paul sings about once being a less-than-stellar man in his youth but seeing the error of his ways and indeed “getting better all the time.” He’d borrowed the phrase from temporary fill-in drummer Jimmy Nicol (that was his stock answer whenever being asked about how he was getting along with the band), and John throws in a clever “It couldn’t get no worse” response in the chorus. The arrangement here, unlike the live sound of the first two tracks and the deliberate muddiness of the “Lucy”, is sparse and remarkably clear, with chiming guitars and choppy piano, as if to make the song as bright and positive as positive. That clarity is wonderfully counterpointed during the verses about how bad he once was; the first half of each verse is played low and droning, only to pick up at the end. A Paul song that somewhat continues the self-examination theme, this time focusing on all the moments where he loses track of where he’s going and what he’s doing. It’s also about those around him at that point in his life, specifically the fans and followers, some of whom really didn’t get that he and the other three also had a mundane private life as well. This song is also unique in that it’s the first Beatles song (not including the two German-sung remakes in 1964) recorded at an EMI studio that wasn’t Abbey Road, which happened to be booked solid on 9 February. They instead recorded a few takes at Regent Sound Studio, and built the final song off Take 2 from that session. Track 7: Being for the Benefit of Mr. Kite! Ending Side 1 on a more upbeat note, John features an incredibly fun track whose lyrics were taken almost wholesale from an antique circus poster he’d recently bought. It’s a track that’s quite close to the whole imaginary Sgt Pepper theme, a song introducing the feats and wonders of a number of circus performers, and arranged to sound as much like a fairground as possible. 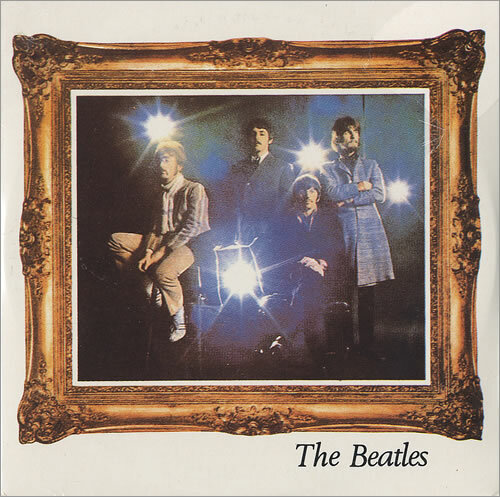 John, George and Ringo all take part playing the many harmonicas on the track; the ending bars contain not just a perky organ melody but a mishmash of steam organ recordings played forwards and backwards. Again, this reinforces John’s budding habit of infusing whimsy into his music instead of just his writing. It’s an interesting parallel to “Lucy” in that, while both are dreamlike, the former takes a fever-dream route while “Kite” takes it in a childlike direction, the innocence of going to a festival to see the acrobats and the dancing horses. This ditty actually dates back to their days at the Cavern Club in Liverpool–Paul once noted that this track was his attempt at writing for a lounge singer, or perhaps someone like Sinatra. By the time they returned to it in December 1966, they’d exchanged the swinging sound for a much lighter soft-shoe vaudeville one, complete with a jazzy clarinet trio, which seemed to fit the “when I get older, losing my hair” theme. In addition to that, Paul suggested they record it in a lower key and speed up the master (it was recorded in C, but the released version is in D-flat); the effect not only makes him sound younger but also makes the song sound like an old-timey jazz 78rpm record recorded played a bit fast. It’s a fun song that doesn’t take itself seriously at all–much like the original Cavern days version, which was often performed whenever their amplifiers lost power. To continue the light ambience, Paul brings in a fun and quirky love song about a female traffic warden he’s fallen for. It too is a silly track, almost a pastiche of John’s “Norwegian Wood” in a way, in which the narrator tries to bring the woman home (so to speak!) but is thwarted in the end–this time by Rita’s sisters who are keeping an eye on the two. Musically it sounds like the band had a hell of a lot of fun recording this on 23 February, as their playing is quite jovial and bouncy, the vocals are delivered tongue firmly in cheek and quite heavy on the ADT, and the background noises are John, Paul and George humming a tune via paper-and-comb. John’s current habit of writing about the mundane side of life came to the fore here, a bright and lively track inspired by none other than a Kellogg’s Corn Flakes commercial. The “rise and shine” theme is evident throughout, as the narrator (singing in a rare second person here!) describes the day as it unfolds–unlike “Penny Lane” with its slice of life description, “Good Morning” is more of a mise-en-scene–you’re walking down the street, feeling tired and run down, but things will get better, because everyone around you is so full of life–even if it’s just for something as mundane as tea and soap operas. This recording fascinating on multiple levels: its shifting time signature of 3/4, 4/4 and 5/4 just in the verses alone; the horns (played by the band Sounds Incorporated, who’d toured with the band previously) are miked similar to “Got to Get You Into My Life”, with the pickups in the bells of the saxes to get a rich wall of sound out of them. And to top it off, in a wink to farm sounds found on the Beach Boys’ Pet Sounds, John had George Martin insert all kinds of wildlife sounds at the end, with the implicit instruction that the follow-up animal had to be capable of scaring (or eating!) the animal before it. Thus we go from rooster, to cat, to dog, and upwards until the song fades out on a stampede of wild elephants, which fades into the distance, leaving only the rooster again. In a brilliant editing move, Martin deftly cross-cuts the start of a rooster crow with…. …a guitar note! The band’s road manager Neil Aspinall had suggested the band do a reprise of the first track, considering it had been an “introductory” song, and the album could wind down with a “closing” song as well. This version, recorded exactly two months after the original, was a rocking interpretation, a rousing “thank you and good night” track lasting just a minute and a half. It was recorded in one marathon session of multiple takes (mainly due to the fact that Paul was leaving on a US trip the next day), but for the most part it was recorded nearly completely live, with very little overdubbing of vocals and a few light touches. It’s short, but it’s nothing but solid playing from everyone involved. Though this track was recorded relatively early in the sessions (19-20 January, with additional work done a week or so later), by the time they finished recording, they knew that this absolutely had to be the last track on the album, no question. It’s long been considered one of their best compositions, and given the amount of time dedicated to it (a total 34 hours, twenty-two more than the entirety of Please Please Me! ), it’s by far one of their most complex productions. There are three distinct parts–the first and third, written mostly by John and taken from recent newspaper articles (the death of friend Tara Browne in a car accident, the report that the roads in Blackburn were filled with potholes, and so on), and the middle section provided mostly by Paul (a simple nostalgic trip of riding the double-decker bus through Liverpool when he was younger), each with its own personality. The first part is performed with deliberate slowness, starting quietly but growing increasingly louder until we reach the end. The link to part two is via a crazy idea from Paul and Martin, in which an orchestra plays an unscripted rise from the instrument’s lowest note up to its highest in the space of 24 bars. That link serves not just to wind up the listener but the speed, as Paul’s section comes in double-time, a bouncy and simple melody meant to evoke a commuter running late. The second gives way to a third part via an absolutely breathtaking eight bars–it’s not complex, but listen to how Martin takes a simple four-note score and makes it dynamic by gradually increasing the volume. In part three we’ve returned to an abbreviated repeat of John’s first section, played double-time as well…only to be brought back to that nightmarish ascension again. This time, once everyone hits that high E, we’re left floating up in the air for a brief second…only to come crashing down–hard–on a final low E chord. That final breathtaking moment is played by John, Paul, Ringo and Mal Evans on three pianos and George Martin on a harmonium, and is drawn out to nearly forty seconds via the recording level being brought up as high as possible as the piano’s natural reverberation slowly fades. 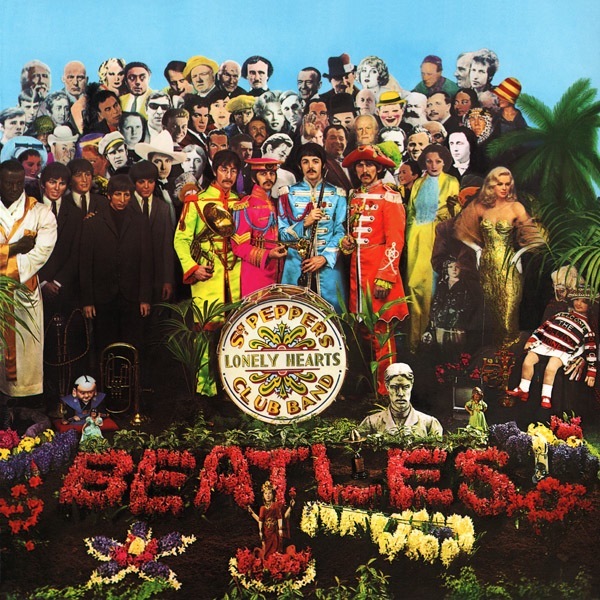 Sgt Pepper’s Lonely Hearts Club Band was released during the height of the Summer of Love–1 June in the UK, and 2 June in the US–and was immediately embraced and lauded by nearly every fan and critic. A few critics felt it was a bit over the top, but for the most part, it was considered the band’s ultimate masterpiece. It’s been near or on the top of many Best Ever Rock Album lists, and it’s been celebrated, imitated, and made into multiple tribute albums (one of the best being 1988’s Sgt Pepper Knew My Father, an NME tribute album compiled for a UK teen runaway hotline). It took nearly five months to record and mix, over double the time given for Revolver, and as no tracks had been leaked until its final release, not even the critics knew what to expect. In the end it set the bar up so high that many other bands could only wish to reach that far, but at the same time it gave those same bands something to aim for. Rock music had turned a page, evolving out of its place as a teen commodity and becoming more of an art form. Pop music was still around and had its true fans, but those with a deeper, more emotional tie to the music they loved were finally given something they could fully embrace. The Beatles were well aware of this, and though they still had a firm foothold on the pop charts, they knew that from here on in, they could (and would) try anything.